I came across some interesting Skype ads in Skype slams Facebook and Twitter in ad campaign tonight. It is interesting that the ads are so focused on Facebook and Twitter! 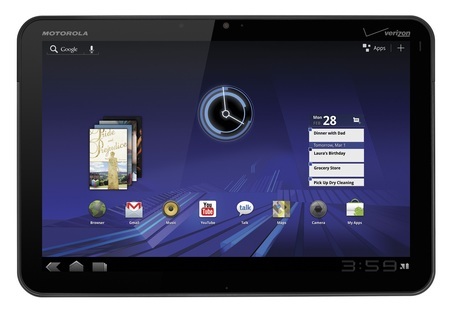 When I wrote Motorola Xoom – First Impressions I noted that I was disappointed that Skype did not support video calling. During the Christmas holidays I installed the latest version, and I am delighted to report that it works perfectly! I think that the image originally came from Tony Bates Weighs in on Microsoft’s Acquisition of Skype. I recently bought a Motorola Xoom for myself, so this post describes my first impressions. Overall these have been extremely positive, and so far the device is exceeding my expectations! I had decided that I wanted an Android powered table, and the only other contender was the Samsung Galaxy Tab 10.1. Both devices are extremely similar, so the ultimate decision was made on the form. The Xoom felt heavier, thicker, and solid. Whereas the Galaxy felt lighter, thinner, and it had a very plastic feel to it. When I got the Xoom I initially played with it to learn about it, and I downloaded many applications for evaluation purposes. I then factory reset it, and configured it the way that I wanted. The power button is located on the back surface in the upper right hand corner. I read several reviewers questioning that location, but I find it very convenient. I can comfortable switch it on and off using one of my fingers that is already there in order to hold the device. Battery life seems great to me, although this is not something that I have measured. My biggest concern here would be the battery longevity in terms of recharge/discharge cycles. So far I am using the device until it fully discharges before charging it again. The charge lead plugs into the bottom of the device (when it is in landscape mode). This makes using it while charging slightly difficult, because you cannot rest the device on our stomach. The screen quality is really impressing me, especially when looking at photos. I also find it perfectly responsive. Overall, I am finding the device very ergonomic, although my hands might be considered slightly larger than average. I wanted to create my own wallpaper, but I found it very difficult to find the exact required dimensions online. The best discussion on the issue is in Improved Wallpaper template, now with native resolution., but I am just using one of my own images that is a much higher resolution. The wallpaper tool is good in the way it allows you to crop the background wallpaper. If you want to use somebody else’s wallpaper then take a look at WallpaperCASA or xoom-wallpapers.com. There is a bundled application for viewing common office file types. (See What is Quickoffice and why can’t I edit documents?.) I do not see myself needing to edit such files, but certainly viewing is extremely useful. I have read that many people install task manager applications. For the moment I am happy to let Android look after this. The browser seems great so far, and I absolutely love the Quick Controls feature (see Quick Browser Controls)! There are many additional bundled applications such as calendars and contact lists. However, I have not used these because I am not interested in that functionality. Flash Player: Whether you like it or not, many websites use Flash technology. My main motivation for getting this was to view some video-on-demand websites that I frequently visit. ES File Explorer: It is interesting that the operating system does not come with a built-in file explorer. Perhaps this is because most users will never need one! However, I do, and his one seems perfect. Perhaps its best feature is that it enables me to directly connect to my file server (using SMB). This is fabulous for downloading my MP3s, photos, and other documents. The only small annoyance I have found with it is that you need to specify whether it should operate in landscape or portrait mode. It should detect this automatically! Jota Text Editor: I wanted an application for taking notes, and subsequently sharing those notes between multiple devices. The initial note applications that I looked at all contained proprietary file formats. So I decided that a text editor was the way to proceed! Skype: I use Skype a lot, so this was a necessity. It works fine, but I am disappointed that it does not support video calling. Hopefully this will change soon! Pulse: This has probably been the application that has impressed me the most! To be honest, it is the first time that I have ever used an RSS reader on any platform, and it is so convenient! Twitter: I tweet using multiple accounts, and this makes it so easy! The notifications and widgets are also very useful. Some of these applications are not specifically designed for the large screen of the tablets, but they are perfectly acceptable as long as the zoom mode is not used. I just read that Skype video calling is now available on Android in Skype video calling comes to Android smartphones. Actually, I am surprised that has not been available before now! All afternoon I have been hearing about Microsoft‘s acquisition of Skype! See Done Deal! Big Deal. Smart Deal? Microsoft Buys Skype For $8.5 Billion In Cash. I am really surprised by this! Not so much that Skype has been sold, but more by the fact that Microsoft is the buyer! 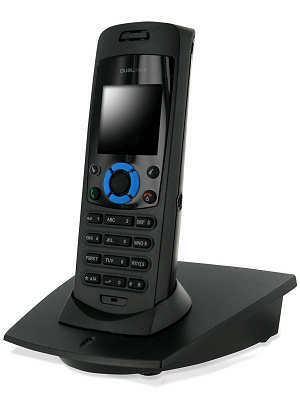 I read during the week that Skype has become the world’s largest international call provider! That is amazing, and it certainly must be concerning the traditional telcos! For more information see CES 2011: Skype Steals International Scene. I am aware that Skype had a serious outage before Christmas, but luckily it did not affect me. The $1 credit was a nice apology! During Christmas I had the opportunity to use Skype for video calls on the latest version of the iPod Touch, and I was extremely impressed with both the quality and the ease of use. It was a much better experience than I imagined, and I could easily get used to doing all my calls like that! Last week I installed the latest version of Skype on my Windows mobile PDA. The effect of this was that I upgraded from version 2.x to 3.0. My main motivation for doing this was that version 3.0 supports file transfers. I thought that this could be useful for when I am travelling and I take photos with my PDA that I want to share immediately with friends. Sending files via Skype has the advantage that everything is fully encrypted end-to-end, so it does not matter if the WiFi connection is not encrypted. The letter, signed by the chief executives of Google, Ebay, Skype, Facebook, Amazon and Sony Electronics among others, says that maintaining data neutrality helps businesses to compete on the basis of content alone. Other signatories included community websites Digg, Flickr, LinkedIn and Craigslist. This list of companies does not really surprise me, as they probably have the most to gain from Net Neutrality. Conversely, it is probably the telcos who have the most to loose! The relations that I bought these phones for are all competent Internet users. For example, they would know how to find, download, install, and use Skype, but they would not know how to configure a home broadband router. All three of them with able to use their new phones within a few minutes of opening the boxes! All three relations are absolutely delighted with the phones to date, and two of them are now using Skype for calls to landlines also! Perhaps the biggest advantage of these phones is that they plug straight into a broadband router, and that they do not require either a computer or a WiFi connection. My only complaint with the phone is that it does not support Skype chats. However, the phone automatically updates its firmware, so hopefully this functionality will appear soon! I found the RTX Skype Dualphone 3088 review – part I review very useful when I was deciding to purchase this phone.